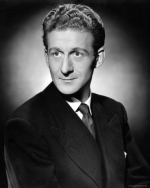 Roland Pertwee (17 May 1885 – 26 April 1963) was an English playwright, film and television screenwriter, director and actor. He wrote a number of works of juvenile fiction, most prominently the The Islanders series, which serves up typical Boy’s Own adventure with a strong field sports theme. The Islanders (1950) and Rough Water (1951) tell the adventures of three boys with the run of a sporting estate in the wild Devon countryside during a summer holiday. The third book, Operation Wild Goose (1955), takes place some years later, on a trip to Iceland, where the boys come up against Russian spies, in-between landing fat salmon. A further book, An Actor’s Life For Me (1953), features just one of the Islanders boys, Nick, as he follows his parents onto the stage. “A mile of river and five hundred acres of woodland” are turned over to Pat and his friends Toby and Nick for the summer holidays. This is the English first edition with illustrations by Margery Gill. “A mile of river and five hundred acres of woodland” are turned over to Pat and his friends Toby and Nick for the summer holidays. This is the second English edition and first American edition with illustrations by Ernest Shepard. The three Islanders, Pat, Nick and Toby, are on a salmon fishing expedition to Iceland when they stumble on a nest of spies.